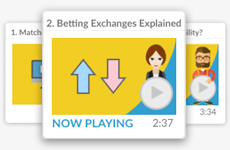 We created this short, matched betting for dummies article because we want matched betting to be accessible to everyone in the UK and not just those who have placed bets before in their lives - the more people smashing the bookmakers, the better! So we have tried to outline the most important things needed to know about betting to get you started on the road to over £600 of risk-free money with matched betting. You will have seen bookmaker shops all across the high street no doubt, you often can't walk 10 metres without seeing another - examples: Coral, Betfred and William Hill. These facilitate bets 'over the counter' and are the old school way to place bets. They allow you to walk in and place a bet in return for a bet slip (ticket - to prove your bet was placed with them) and then if your bet wins you then head back with your betslip and collect your winnings in cash. Online bookmakers offer the same service, but with the obvious added internet convenience. They have a website that offers all the available bets you can choose and if your bet wins your funds are added directly into your bookmaker account which you will then need to withdraw into your bank account (withdrawals can take 2-5 working days depending on the bookmaker). Not all online bookmakers can be trusted with your money and so you need to be careful to only use those that are licensed to operate in the UK & Ireland and whom have a good reputation. 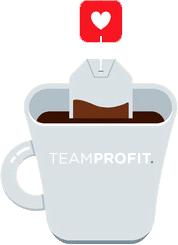 Team Profit ensures that any offer we have on our site is from trusted bookmaker, so you can always ensure your money is safe! An example would be 4/1 (which is 4 to 1). This means that for every £1 you put on a bet you get £4 profit. So a £2 bet would return £8 profit + the £2 bet amount you bet....so £10 total returned. The easiest way to think of decimal odds is that it is the fractional odds plus one. So the example before of 4/1 would be displayed as 5.0 in decimal odds. To calculate the return of decimal odds, you simply multiply your bet by the decimal odds and the total will include the initial bet amount. So a £2 bet would return 2 x 5.0 = £10 (including the initial bet amount). This is generally very easy as bookmakers want to make it as quick and easy for new customers to sign up. The only friction that can sometimes happen is that bookmakers may request proof of your age and address in the form of a photo. 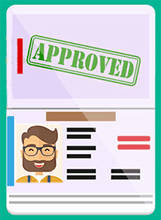 Proof of ID can be provided in various forms; passport, driving license, voting card, identity card or PAN card. And address proof in the form of; utility bill, bank statement or letter from an employer. Most bookmakers will check your details against the electoral roll, so this is rarely a problem. 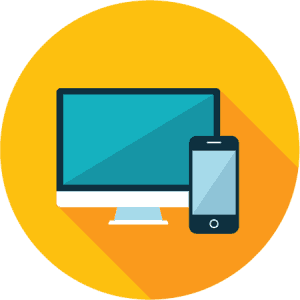 Top tip: save a copy of a photo of your ID and address on an easy to access file on your computer so you can easily email it on request. In this day and age you can practically place a bet on anything; Brexit outcome, Xfactor winner and no doubt soon what colour pants a referee is wearing. The best starting point though and the best ones for matched betting are the simplest markets on the bigger sporting fixtures. The simplest market is "winner odds (the outcome of the fixture)", for sports such as football where the fixture can finish a draw, these will also include a draw bet. The match result is always at the top of the main bets page for a fixture. In this example the odds of Arsenal winning are 2.00, the match finishing a draw is 3.40 and the odds of Liverpool winning are 3.75. Sometimes it will show 'home' 'draw' and 'away' - in this example Arsenal would be the home team and Liverpool the away team - the first team listed in the fixture are always the home team.